Despite all the wine and liquor We enjoy each week, my recycling bin has virtually no glass in it. I’m not a bad, anti-green citizen: all plastic gets recycled (tonic water, various juices, and other plastic encased mixers are regular visitors to the bin). And all fruit and vegetable waste gets composted. (Limes are of particular popularity in the compost pile.) 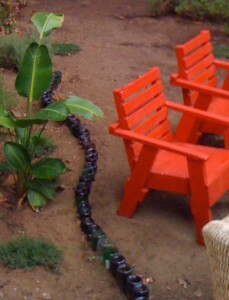 The lack of glass is because We don’t recycle empty bottles…We plant them upside down in my back yard. Slowly a beautiful, Gaudi-esque border for the plants and pathways is emerging in what was a big dirt patch. An interesting blend (49% Sauvignon Blanc, 25% Albarino, 20% Muscat Blanc, 6% Chardonnay) that offers both refreshing acidity, with limey, grassy notes but also a very lush, tropical palate. He enjoyed its richness (likely from the Muscat Blanc and Chardonnay), favoring wines that are not overly acidic. I found it a little unrefined, but highly enjoyable and food friendly. Ripe apricots, tropical flowers, and zing of citrus. We both agreed the price was right and it was a great match for the salmon roasted with veggies We made for dinner. Despite the fact We think their label design is a bit meh (nice type, but the mosaic is hokey), We’re endeared to XWinery. They are doing cool things philanthropically, practice sustainability in the vineyard and winery, and seem like overall good corporate citizen and folks. These things matter. If you’re friends with Us on Facebook you no doubt have seen a few pictures of His very new, very mod, very awesome Vespa. Suddenly quick trips to the store are so much fun…and He’s always volunteering to pick something up on the way over. The other day He showed up with a bottle of white from a favorite local wine shop, domaineLA. After a tough day of riding around in the sun with a buddy (who happens to have a matching bike–so cute), He was ready for a glass of wine. We popped it open and wow, it was great. The chardonnay is unoaked but there is an almondy toastiness on the nose with peaches and fragrant blossoms. Nice structure (no flabbiness here) with that licking-a-wet-stone minerality I really enjoy. A delightful, complex wine, making $17 a great price. (It’s worth noting that over the years winemaker Jean-Paul Brun has gotten all kinds of flak from the French government for making wine the way he wants to. We say: eff The Man, keep on doing what you do.) A bonus: Jill at domaineLA made Him customer-of-the-day. Vespa/wine/helmet hair glamor shot here. An enjoyable dry Riesling (and the end to his Riesling phobia?). Fragrant, grapey and somewhat musty nose leading to ripe pear, peach, golden delicious apple ––late summer/early fall fruit flavors that is aromatic and full without being overwhelming. A backbone of minerals keeps the fruit from becoming overly cloying and gives the wine a nice long finish. Hints of spice and ginger add some complexity, but overall the wine is on the easy drinking simple side. Enjoy it, don’t ramble on about it (so I won’t). Priced right at $12. We drank a lot of Grüner over the hot summer months–it’s perfect quencher on a scorcher day, generally inexpensive but of good quality, great with oysters and seafood (which We eat a lot of), and when at a restaurant/bar with a sketchy wine list, usually a sure thing. But why is it a restaurant/bar with a sketchy wine list? Is Grüner going through its Pinot Grigio phase wherein as the popularity of the wine grows, the quality suffers? Our non-scientific poll says: Yes. Increasingly We’ve been tasting Grüners that lack freshness and structure. 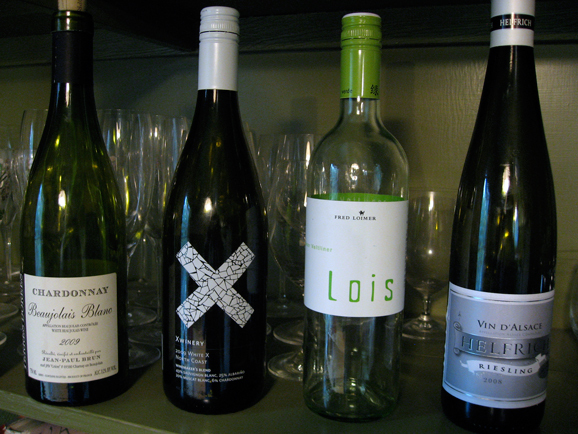 The Lois bucks the trend, remaining affordable and highly drinkable. It is sprtizy, limey, minerally, “fun” wine. Lots of grapefruit, some unripe pear, and a fresh, clean finish. Twelve bucks is the right price. For the last night of our road trip we stayed in Scottsdale, Arizona. Leaving our luxe spa digs in the strange, natural hot springs town of Truth or Consequences, NM (see the nudie bath shot on our Facebook page) we opted to avoid the Interstate and drove on skinny country roads through a forest, over a mountain, and on a long desert stretch, finally arriving in Old Town Scottsdale thirsty as all get out. 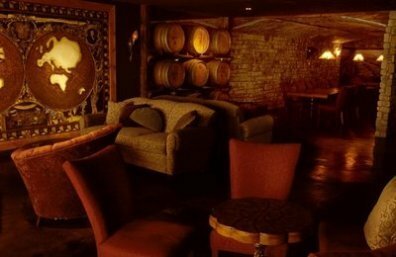 We chose Scottsdale over any other town or city on our route because of wine: I wanted to take Him to one of my favorite wine sipping spots, Kazimierz World Wine Bar. Once we were in the general area of Kaz’s we parked the car, punched the address into the GPS, and Google Mapped the location to figure out where we were going to stay for the night. We hadn’t planned that part in advance; wine had taken precedent over lodging. We picked the closest cheap hotel. Turns out it was a pretty run down and gross Ramada. Don’t stay there. Ah…but Kazimierz…it did not disappoint. That is, once we found it. The bar had been open just over an hour and was pretty quiet, but we were still asked to pay a cover for the night’s musical act. There had been top-notch jazz on my previous visits, so we forked over our five bucks each and made our way to a two top near the performance area. First things first: a beverage. The wine list is gigantic, featuring over 3,200 bottles. He grabbed it and began leafing through. He muttered, “wow,” and “geez,” and “there is just so much…” I quickly grew bored with this commentary and since he was dominating the list, I scanned the liquor selection. Featured were several vodkas from Charbay, a sentimental favorite of mine that I haven’t had since moving from Napa Valley last year. While he gawked at the wines I ordered a cocktail: Texas ruby red grapefruit vodka with a splash of sparkling water and a lime. Years ago that’s how Marco Karakasevic of Charbay had told me how to drink it and I’ve been hooked ever since. I sipped and savored while He continued to look over the list. Finally, He decided to focus on a refreshing white wine amongst the many pages. 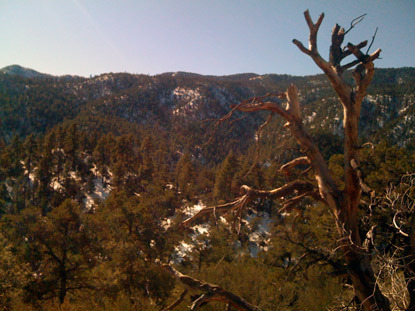 It had been a beautiful, but long and exhausting drive. A crisp, dry, acidic white would provide a much needed pick-me-up. By the time He chose a half bottle of 2007 Brundlmayer Gruner Veltliner, Berg Vogelsang ($27), I had finished my cocktail. Good timing on my part. Next it was food. The menu at Kazimierz’s is simple, focusing on cheese, cured meats, and flatbreads, which the menu admits are pizzas, but… “not pizzas as you traditionally know them, these are meant for wine sipping and no, we don’t deliver.” We chose the generously portioned antipasta plate with serrano, sopressata, prosciutto, cheeses, and olives and the “Willamette flatbread” with crimini and button mushrooms, mozzarella, garlic, and truffle oil. I love forgoing utensils and eating with my hands. Both plates were delicious and slowly enjoyed by us both. The band began to warm up: two older dudes, one playing a sax, the other sitting at a keyboard. We tried our best to block out the vapid conversation of the young couple on their first date sitting next to us (the blond chick was really working her dumb college student on a cheerleading scholarship stereotype) as the music started. It was futile. We ordered another half bottle of wine, 2005 Tablas Creek Esprit de Beaucastel Blanc ($30), and moved to a cozy couch in front of the band. Our waitress couldn’t find the wine at first, but finally brought us the bottle, admitting she had been looking for a red. “I forgot that of course Côte du Rhônes can be white!” Yes, they can. And this is a great domestic example. I appreciated that Kazimierz had several vintages instead of just the current release. The 2005 is a lush, floral blend of 70% Rousanne, 25% Grenache Blanc, and 5% Picpoul Blanc. Although it has honey, apricot, and spice there is an underlying minerality and brightness that prevents it from being too cloying. It was perfect with our last slices of the fragrant, mushroomy flatbread. A diminutive older woman joined the band and I knew immediately that it was Margo Reed, whom I had seen last time I was at the bar. She is fantastic. 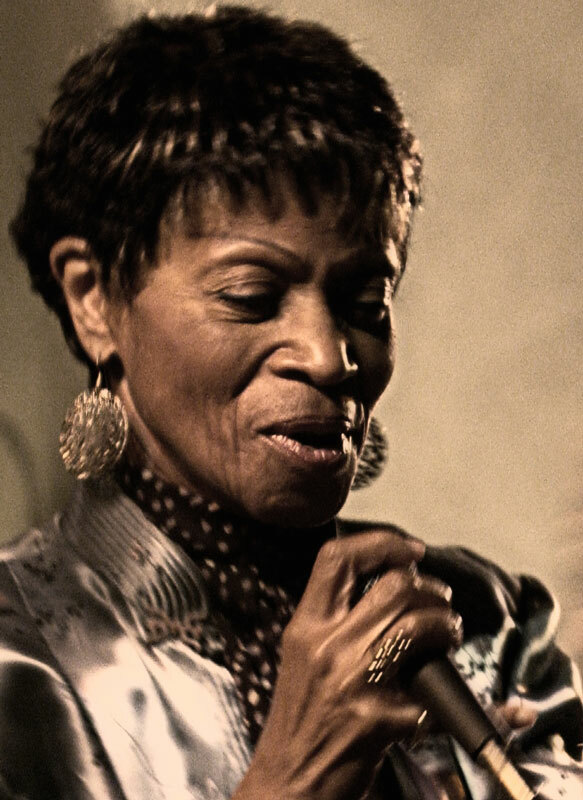 She belts out jazz standards in a deep, rich voice that is entirely unexpected from such a petite woman. We were immediately mesmerized. Later a young harmonica player that was in the audience joined the band for a few tunes. And like Margo said, he was “adorable,” and incredibly talented. We sipped our wine and slipped deeper into the couch. Although getting sleepy, neither of us want to leave the music or the place. We each ordered another Charbay cocktail, but exhaustion took over. We left the bar before the third set. It was a delicious, dreamy end to a long day and a fantastic road trip. Tomorrow we would drive back to my Silverlake cottage.